“Our brain is our master organ. The activity in the brain determines how we feel, behave and how we make important life decisions. The brain mediates perception, thoughts, and actions. If one part of the brain is out of balance, the effects can ripple into other parts of the brain and body.” – Sherry A. Fong D.C. If you are experiencing emotional or memory, learning and other functional difficulties, we will see over or under-activity in the corresponding areas of the brain. These areas will be working harder than the other, driving the brain out of balance. When the brain activity is out of balance, there will be corresponding problems in our emotional or physical health. What we repetitively use, grows stronger. This is true for the brain as well for muscles. With repetition, a thought, mood, or emotional state can become a pattern. The pattern grows in to a trait, a trait becomes a constant state. If the brain is out of balance it loses flexibility, we may get stuck thinking when trying to sleep, day dreaming and distracted when we need to focus, or get stuck with uncomfortable and disruptive emotions. When this happens, the brain has been pushed out of balance, and has lost the flexibility needed to shift out of the constant state and we get “locked” into that constant state causing chronic sleeplessness, anxiety, racing thoughts and panic. Our goal is to use the latest methods to measurably improve brain performance without drugs, talk-therapies, or invasive procedures. While most people have normal brain function, they still have brain imbalances and disruptive emotions that affect their day to day life. This is where brain mapping, brain neurofeedback and brain entrainment can help. Brainwaves are the electrical impulses produced as brain cells communicate with one another. Brainwaves tell us a great deal about how you feel and function, your thought patterns, stress levels, underlying mood and overall brain functions. Brain mapping uses sensors on the scalp to measure and monitor this activity. With Brain core’s analysis software, we can identify what specific activity is giving rise to your symptoms. Once we know the are areas of concern, we can create a training plan to help train your brain into a relaxed, efficient state. 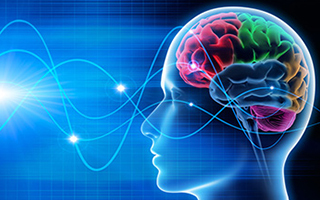 Neurofeedback and brain entrainment is an art as well as a science to provide a way to address the deterioration of the aging or traumatized brain and balance brain activity; it is direct biofeedback and exercise for the brain. Schedule a consultation to discuss the best options to optimize your brain function. Below are the different techniques and methods used for your peak brain performance sessions. Each of the services are utilized to create a customized package tailored to your needs. Application of non invasive electrodes to the scalp and skin to listen in on brainwave activity, while engaging with a computer based software to instruct brain exercises and train your brain to improve memory, ability to learn, creativity, and attain peak performance. 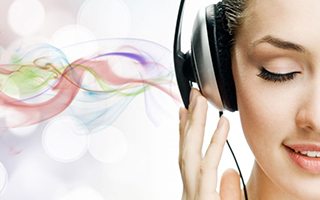 The non invasive application of the Brainwave Entrainment is a method to stimulate the brain into entering a specific state by using pulsing sound and light, encouraging the brainwaves to align to the frequency of a given rhyme.